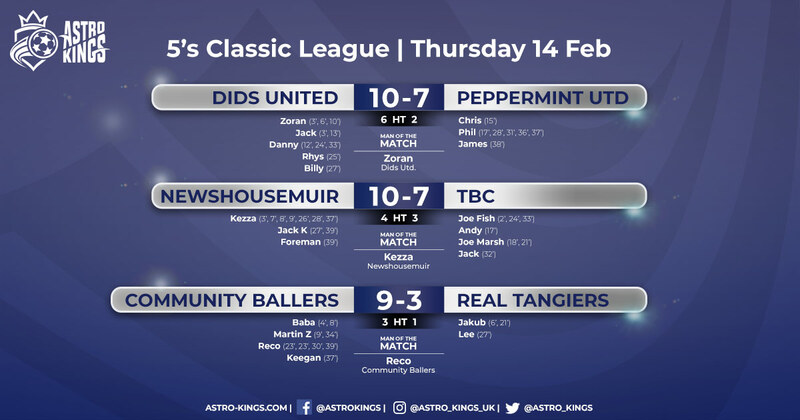 Kicking-off Astro Kings’ new Thursday league was last season’s runners-up, Real Tangiers, versus Peppermint United. 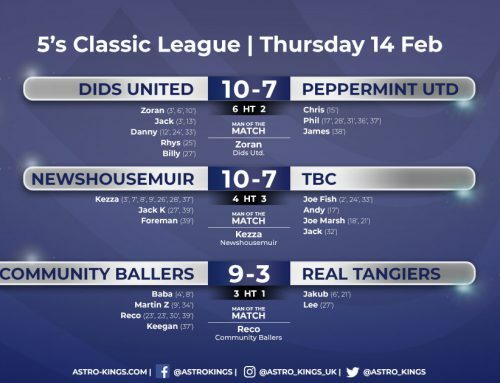 Last season’s top scorers for Tangiers were Jakub and Thierry, and luckily they were on-form, and hitting the target tonight. 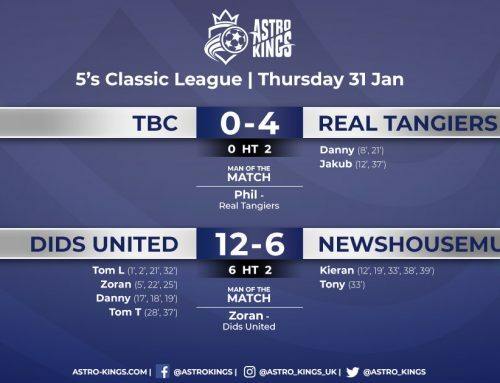 When the ref blew for half-time they had scored four and three respectively, and helped create a comfortable seven-one lead. 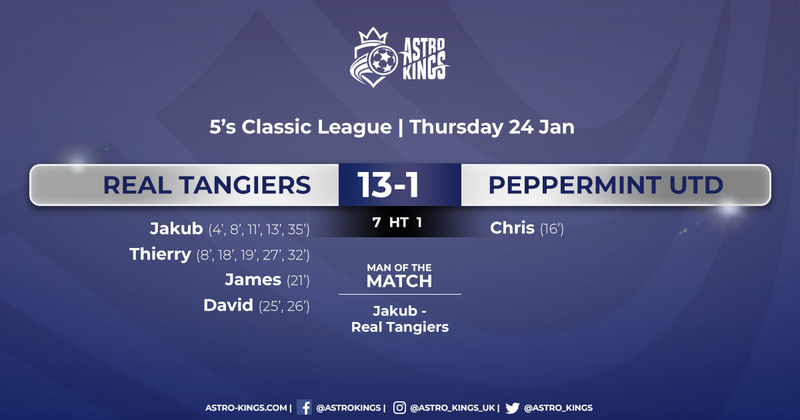 Peppermint had a mountain to climb if they were to salvage anything from this game, but unfortunately for them, Tangiers had every intention of kicking-off their title campaign with a bang. 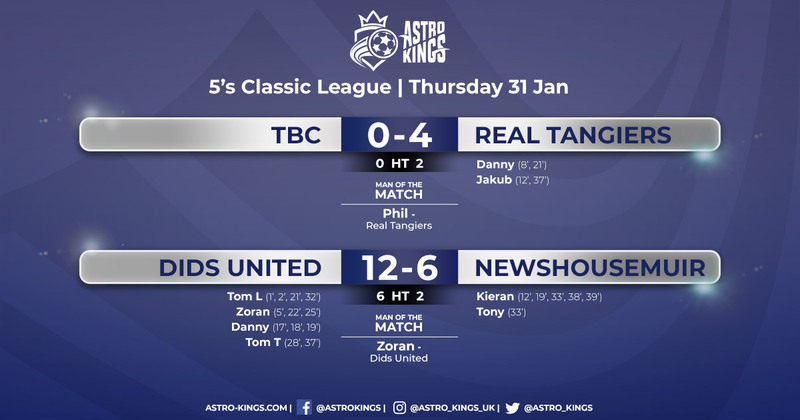 They kept a clean sheet throughout the second half, and took the scoreline to 13-1. Thierry and man-of-the-match Jakub finished with five goals a piece, and impressed with a great start to the new season.